Who else is super excited for the new Beauty and the Beast movie? I remember watching it on repeat as a kid so the fact that Disney is bringing this classic to life is amazing. I’d have to say one of the most famous scenes is the one where Belle discovers the rose. Or, it’s the scene that I remember the most. 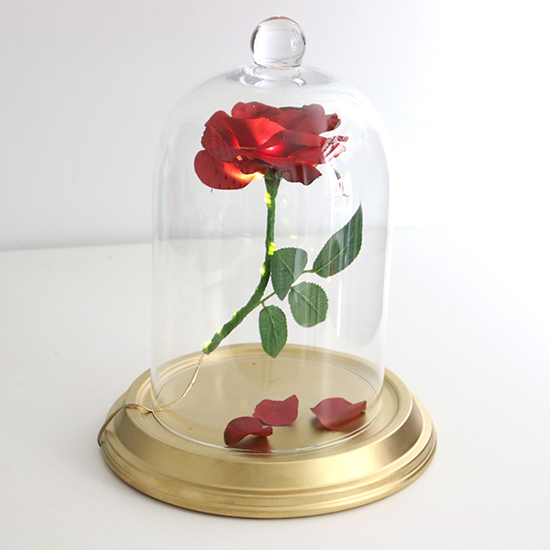 I got this idea to create a Beauty and the Beast Enchanted Rose while talking with a friend and she was saying how she wanted to re-create the Beauty & the Beast Rose for her daughter’s birthday party. This got me thinking about how I could make a larger version of it. 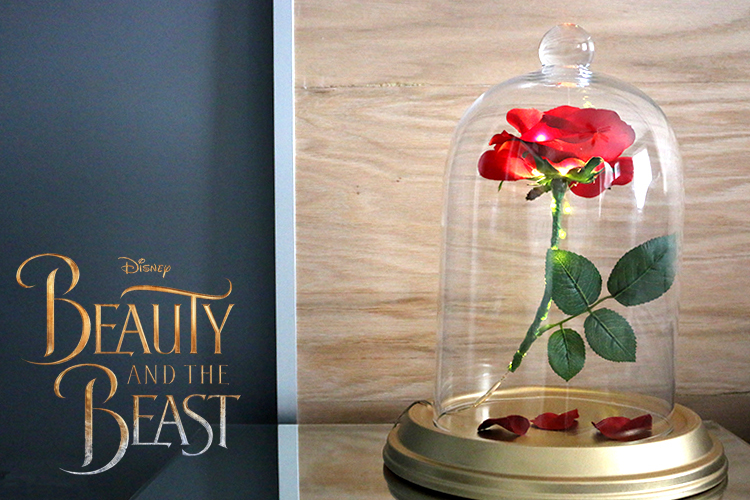 This DIY Beauty and the Beast Enchanted Rose requires no drilling or fancy work whats so ever. You’ll only need a few items such as spray paint, bell dome, rose and a plant base. I’ll show you all the materials and steps in the YouTube video below. I was so surprised at the enchanted rose turned out, even with the floating illusion. I knew that the floating part was going to be the biggest challenge but check out the video to see how I created the look with just a simple item from the dollar store!